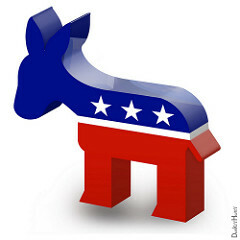 Below you will find the form for supporting the Haverford Dems’ organizing and campaign efforts. We also have a special School Board candidates’ Donate page. It lets you contribute directly to that slate’s coordinated campaign. Whether your donation is large or small, you can make a difference in these local races. Note: Contributions to the Haverford Township Democratic Committee are not deductible for state or federal income tax purposes. Depending on the level of your individual donation or the cumulation of your donations over the course of the year, the Haverford Township Democrats may need additional information from you in order to comply with Federal Election Commission laws. Please provide your phone number in the box below only if you would prefer a call over email. I Confirm *	 As required by PA Campaign Finance Law, I confirm that the following statements are true and accurate: 1. I am making this contribution from my own funds and not those of another. 2. I am making this contribution using my own personal credit card and not with a corporate or business credit card. You can keep track of how we are spending your money by subscribing to the Haverford Township Democrats newsletter. For additional information and help making a contribution, please e-mail our treasurer, Brandon Trombetta.